Nothing brings to surface internal struggles, deep-rooted frustrations, and anxiety-induced irritation like building a piece of IKEA furniture. 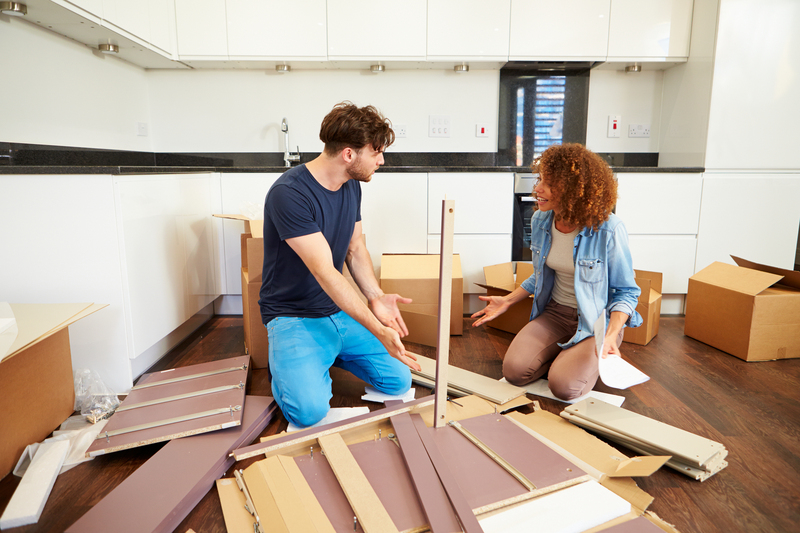 Whether it’s the daunting task of putting together a large structure or deciphering the hieroglyphic-esque instructions, it is a process during which even the most loving and supportive partner can go from Dr. Jekyll to Mr. Hyde. What is it about these little irritants that seem to accumulate and tempt us to explode at our partner whom, when you get rid of all those little things, you care very deeply about? Well, often times the little things go completely unaddressed, which allows those little things to lie in wait and slowly build over time until suddenly you’ve blown up at your partner just because they accidentally pronounced it “supposably” instead of “supposedly.” When these blow ups become habitual, they crack the foundation of what was before a solid and healthy relationship. Now, you may be thinking to yourself, I have to have a deep conversation every time my partner eats his/her pretzels too loudly? Starting off with a friendly intervention is the perfect way to address the irritant without placing a ton of weight on the matter and essentially blindsiding your partner. Share what you’ve been feeling, without being confrontational or accusatory, and, odds are, you will be met with ready willingness to comprise or work on change. Just make sure that you are as open to hearing about irritants your significant other may have about you! This type of relationship building is a two-way street and you can’t expect behavior from your partner that you wouldn’t be willing to demonstrate yourself. So, you’re building a bed frame with your partner, trying to figure out why on earth the holes in the wood won’t match up, and your partner, who has been trying to follow the sarcastically grinning stick figure person through the instructions, starts anxiously clicking a pen over and over again at rapid speed. Just take a deep breath and, rather than yelling, “Oh my god, would you just knock it off!”, try, “Hey, I know we are both anxious, but do you mind not clicking your pen? It’s making me even more anxious.” And who knows, maybe you’ve been fidgeting with your hair the whole time in a way that makes them anxious. With an even better understanding of each other, you both can readily move past the little things and direct your attention towards the overly complicated construction process you are truly mad at.